Shop online for 80 downtown-deco model trains at discounts up to 22%. This is the O Scale Deteriorated Concrete Sidewalk Kit by Downtown Deco. 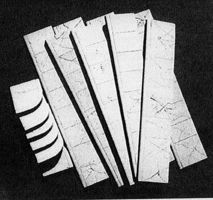 This is the HO Scale The Boobie Hatch Cast-Hydrocal Kit (6 x 4'' 15.2 x 10.2cm) by Downtown Deco. 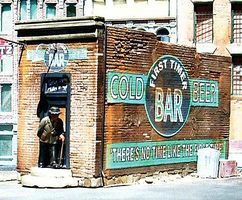 This is the O Scale First Timer Bar Kit by Downtown Deco. This is the N Scale Addams Avenue Part One Kit by Downtown Deco. 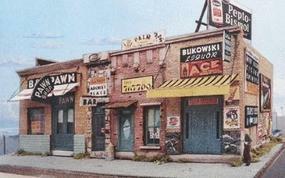 This is the N Scale Blair Avenue Part Two Kit by Downtown Deco. 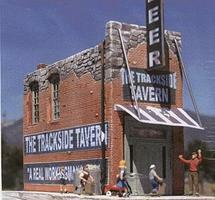 This is the O Scale The Trackside Tavern Kit by Downtown Deco. This is the HO Scale Addams Ave. Part Three - Kit (5 x 5'' 12.7 x 12.7cm) by Downtown Deco. This is the HO Scale Kitty Korner Club Kit by Downtown Deco. 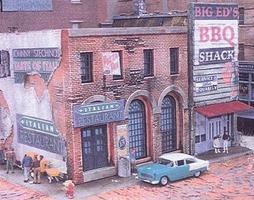 This is the HO Scale Blair Avenue Part Two Kit Johnny Stechino's & Big Ed's by Downtown Deco. This is the HO Scale Chop Suey Take Out Cast-Hydrocal Kit (1-1/2 x 3-1/2'' 3.8 x 8.9cm) by Downtown Deco. This is the HO Scale Addams Ave. Part Two - Kit (10 x 5'' 254 x 12.7cm) by Downtown Deco. This is the HO Scale Addams Ave. Part One - Kit (5 x 9'' 12.7 x 22.5cm) by Downtown Deco. This is the HO Scale Deteriorated Concrete Sidewalk Kit by Downtown Deco. This is the N Scale The Boobie Hatch Cast-Hydrocal Kit (3" x 2'') by Downtown Deco. This is the O Scale Luci's Tattoo Emporium Kit by Downtown Deco. 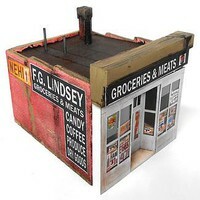 This is the HO Scale Skid Row Part One - Kit (11-1/2 x 6'' 28.7 x 15.2cm) by Downtown Deco. This is the HO Scale Addams Ave. Part Five Kit by Downtown Deco.